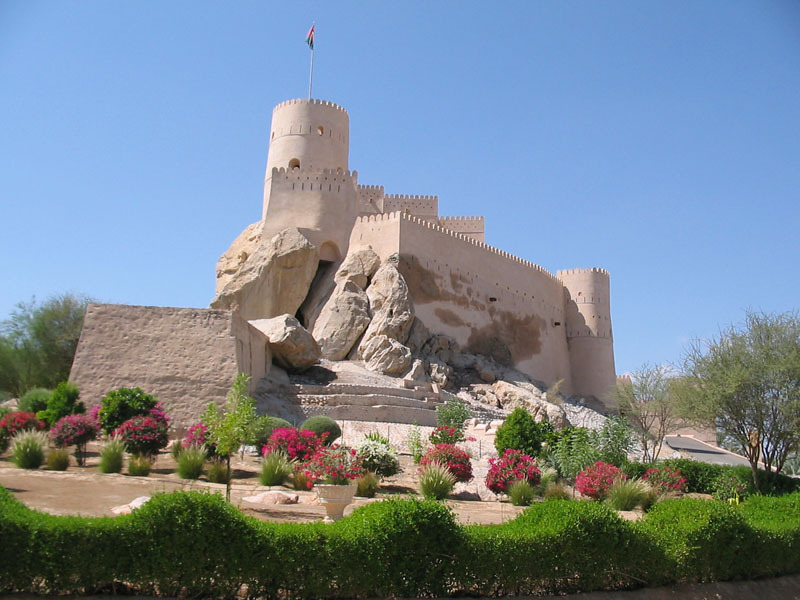 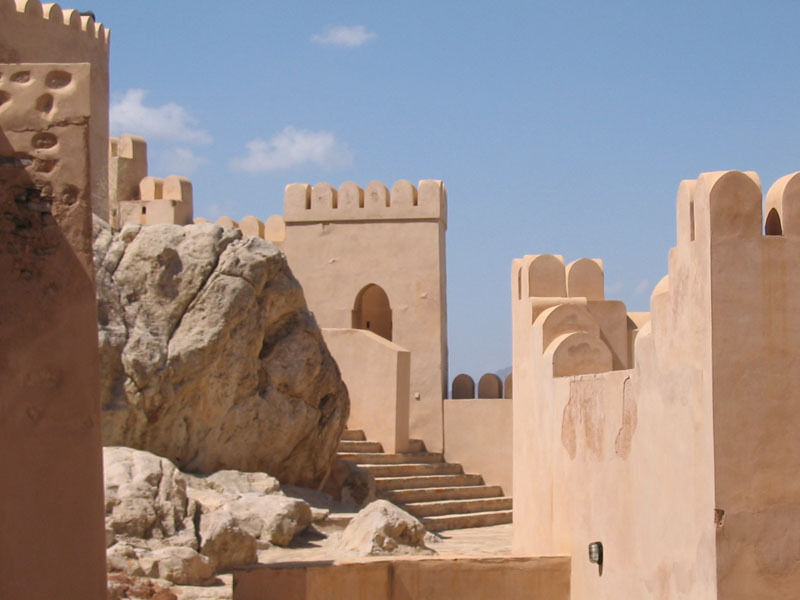 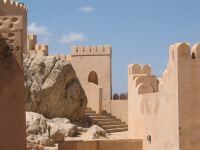 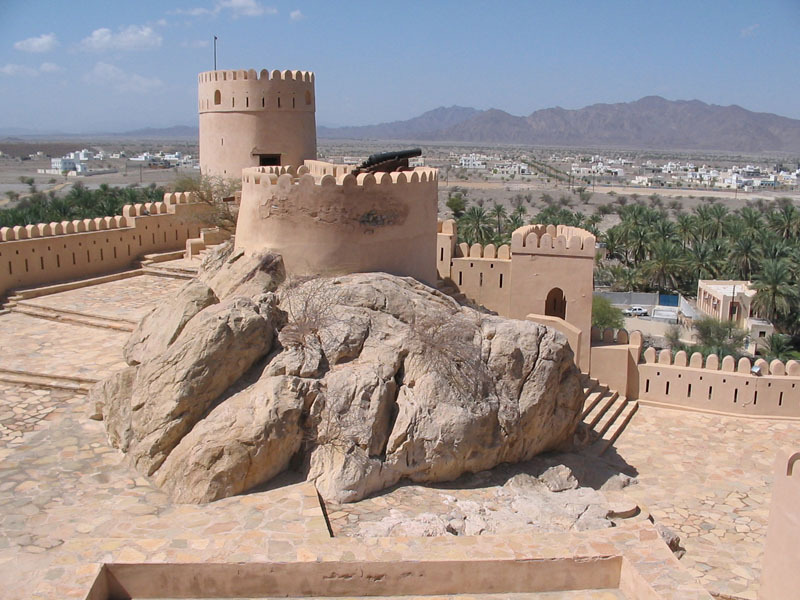 Nakhal Fort is one of the most spectacular forts in the world, dramatically located at the edge of the Jebel Akhdar Mountains in northwest Oman. 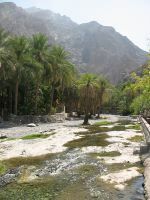 Nearby is a beautiful oasis and hot spring. 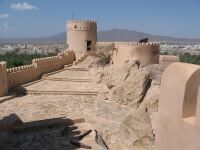 I toured the fort with my new Australian friend Margaret, along with our tour guide Ali. 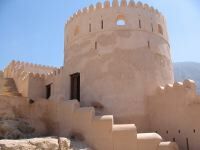 View of the fort from a dried wadi, or riverbed. 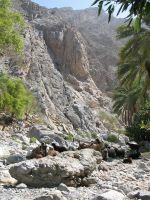 Approaching the fort across the wadi. 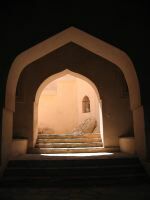 Shadowy entrance to the fort. The main courtyard of the fort. 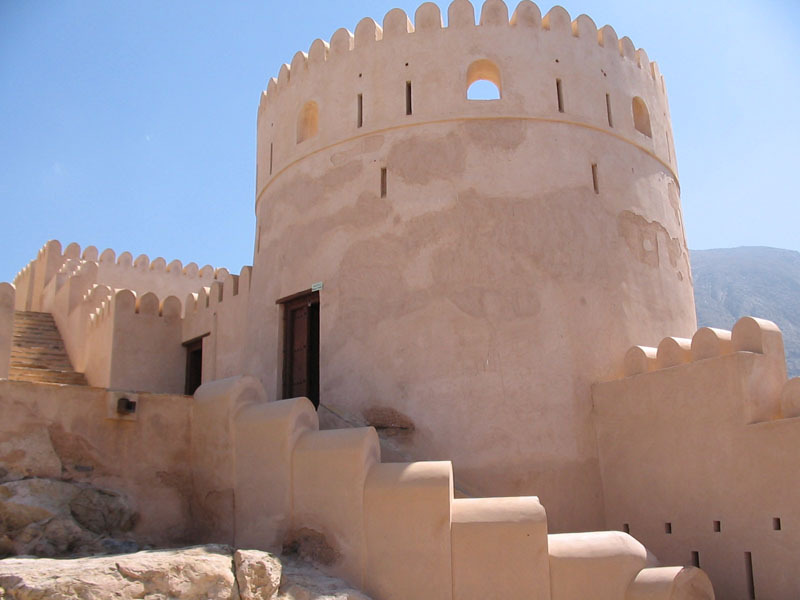 The fort incorporates the bedrock of the hillside into its design. 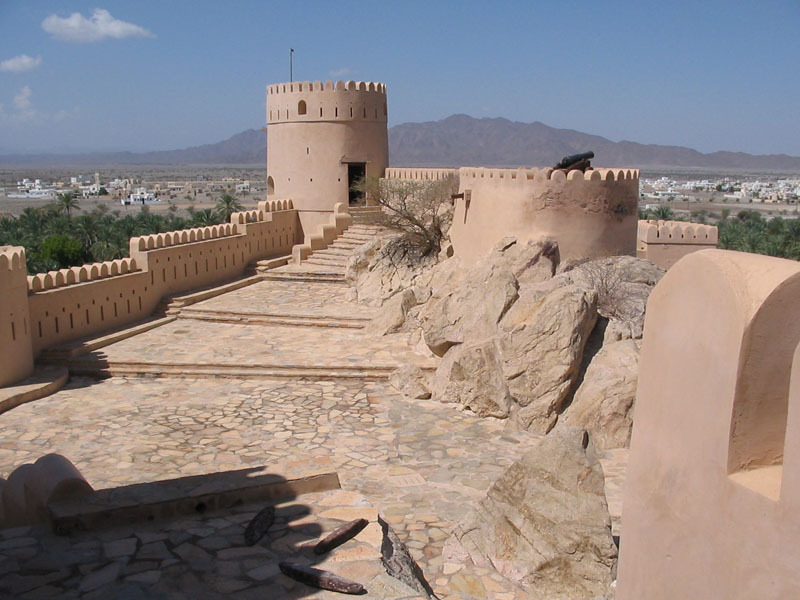 Ali and Margaret spy over the countryside from the mid level of the fort. Ali describes the history of the fort to Margaret. 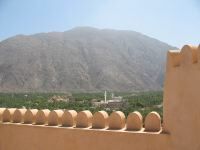 A mosque can be seen from the fort's rooftop. 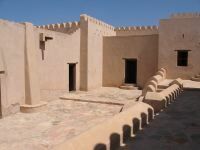 Upper courtyard of the fort. 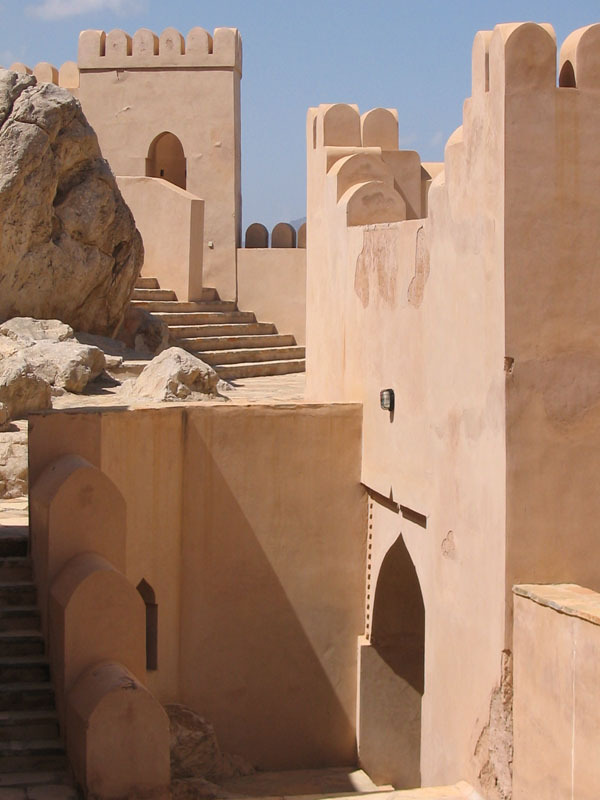 Boulders protrude from the courtyard. Main tower of the fort, viewed from the courtyard. 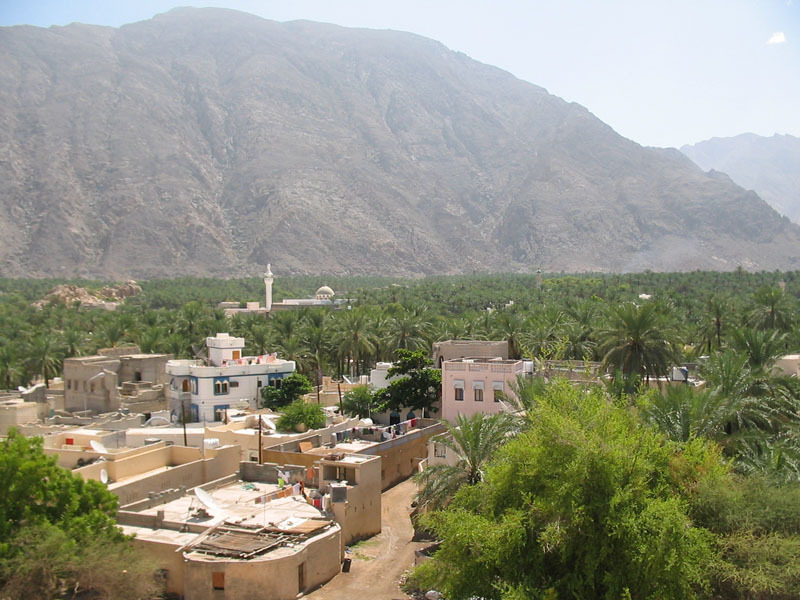 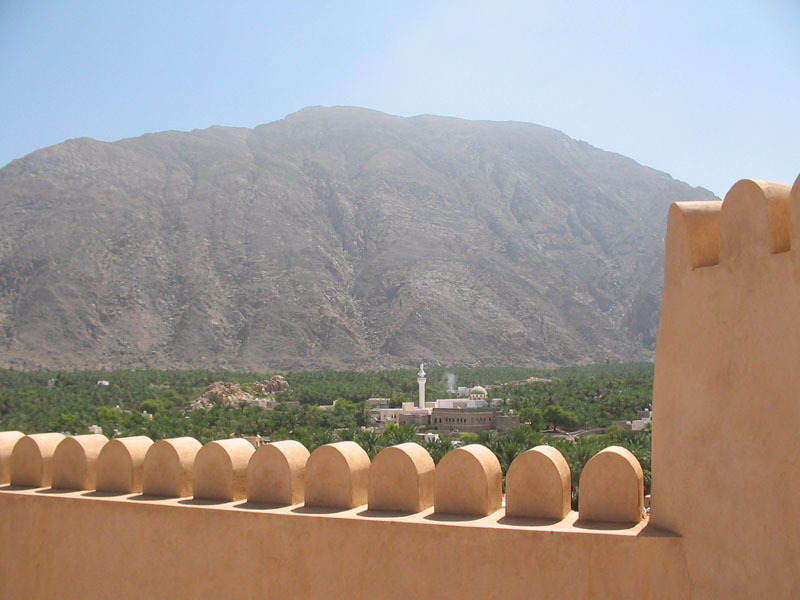 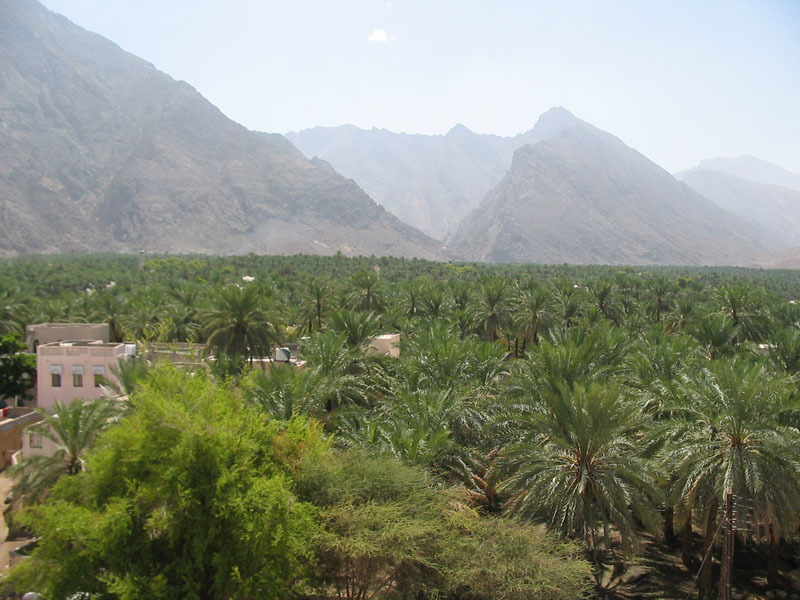 Panorama view of the Nakhal countryside, with the Jebel Akhdar mountain range in the distance. 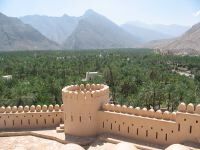 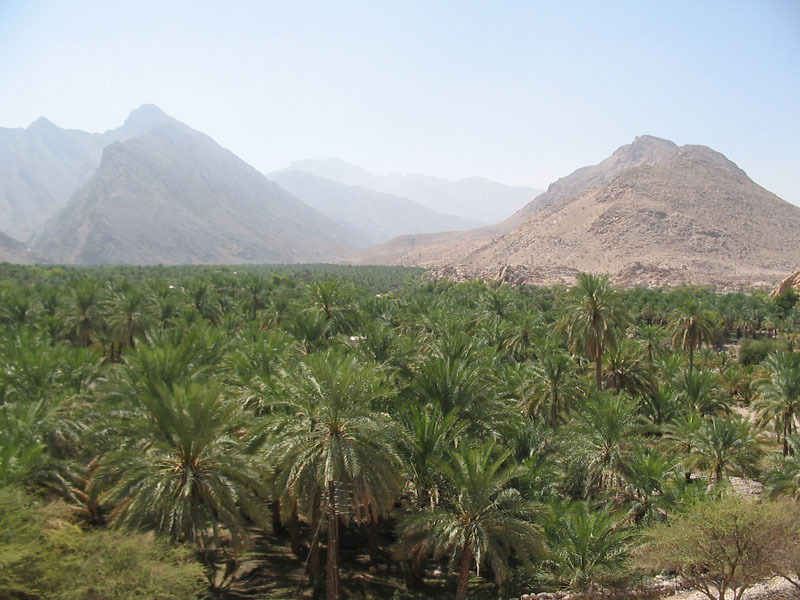 Much of the fort is surrounded by acres of date palms. Date palms extending into the countryside. Interior of the fort's parlor room viewed through an antique mirror. 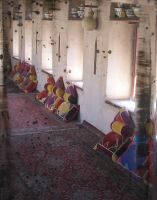 Bedrooms of the fort's governor and family. 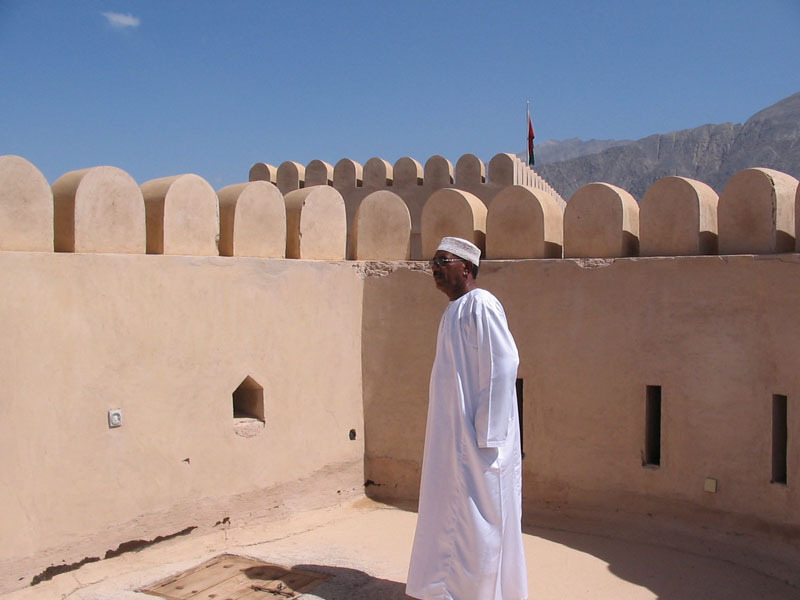 Ali inspects the fort walls. 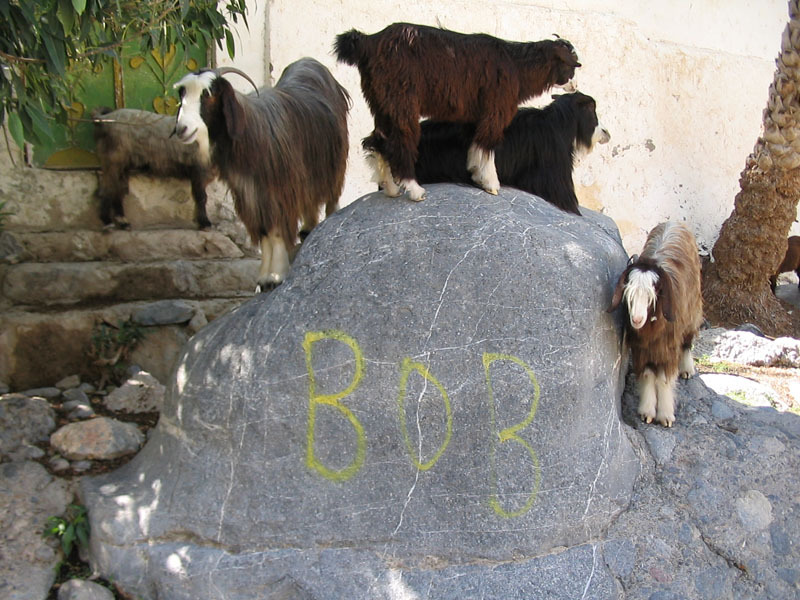 A hot spring outside the fort is now populated by a herd of goats. The spring waters are as warm as bathwater. 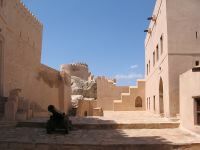 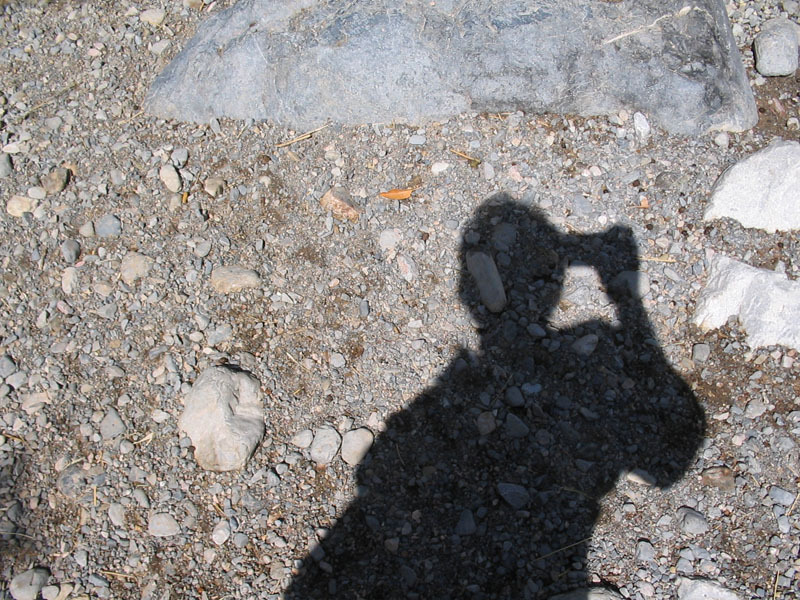 Andy poses for a self-portrait at the steps of Nakhal fort. 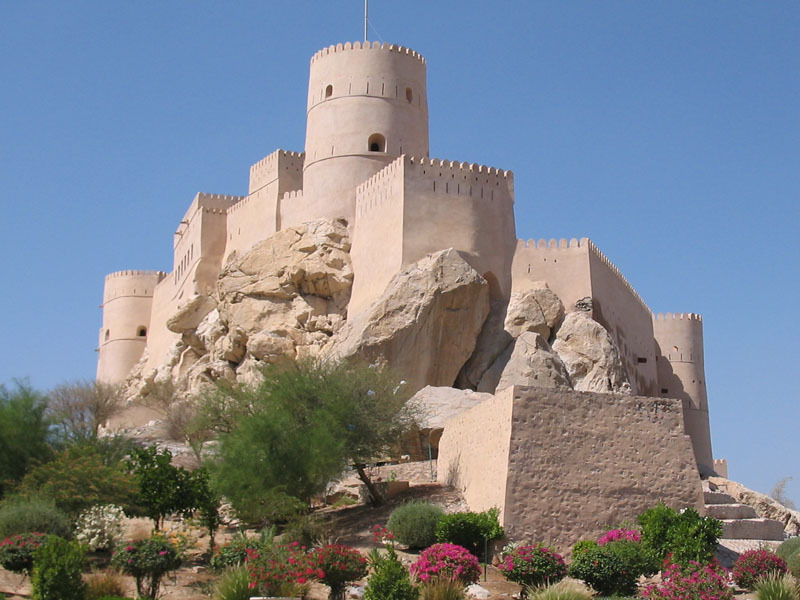 The fort from the side of the road as we drive out of town.